As Indians, we all love when our biryanis and certain authentic curries are done to perfection on dum! Dum is nothing but one of the ways that falls under the ‘slow cooking’ category. A cooking method that is back in vogue and people around the world are readily accepting it. Any kind of food preparing method that depends on low-heat usage for a long time can fall under the ‘slow cooking’ technique. As already stated, dum in Indian cooking is one of the best examples alongwith others like low-heat ovens, pit cooking, barbecues, etc., that are common worldwide. So, why slow cooking is back, and that too with a bang!? Lies in the irony of our lives. The faster it became, the more we looked out for solutions that made life fuss-free. Gone are the days when we actually sit and ponder over what we want to eat in our meals (unless of course if it’s a weekend). By the time we reach home, our head doesn’t allow us to put in that extra effort to cook (even if the heart wants us to do that!). Thus, the conclusion – speed of cooking inversely proportional to the speed of life! It’s as simple as that. Hence, the idea of slow cooking does best for this fast paced life – take a cooking utensil, throw in the meats/veggies alongwith seasoning and spices and let it simmer on low heat. And by the time you freshen up and get back to eat, voila! You have a complete meal ready – hearty, nutritious and delicious! Plus you saved your time and energy that you can put-in on relishing the final dish! Cool, isn’t it? Proves absolutely useful for bachelors and spinsters too – the ones who go weak on their knees even with the thought of cooking the simplest of meals! You can almost swear by this method to prep-up some great homemade dishes. What better can the feel be – it saves you from the guilt of feeding on fast-food or restaurant food daily! Makes food extremely soft by breaking down the hard connective tissues. So, great for fibrous veggies and tough cuts of meats. Provides better results as flavours are infused with one another over time. Brings out the best. To achieve a uniform level of cooking of a huge quantity, without burning or drying. Want to dissolve your pastas, potatoes or beans into stews? Go for slow-cooking. Long-cooking times can automatically create a festive atmosphere with food being the centre of attraction. Use the slow-cooking method to create your unique dishes for that special gathering! Not a good option for caramelising certain food ingredients. You cannot expect to get crunchiness on food with this method. For obvious reasons! If you want to keep those burst of flavours distinct and avoid mixing of them with one another, you definitely shouldn’t be opting for slow cooking. So, you already gotten yourselves to slow cooking? Well, master it with investing in the right type of gadgets as well – everything from the simple slow cooker, stock pot and casserole to the fancy high-end combi-oven and Sous Vide cookers are available in the market. You just need to decide on your preference, get one of these and use them whenever you plan to slow cook. As I end, here’s a list of some of my favourite food that is slow cooked. These include not just the non-veg fare like a flavourful Paya Shorba, Dum Murgh, Hyderabadi Dum Gosht Biryani, Dum ki Kaliyan (I put it up on my restaurant, The Yellow Chilli’s menu too!) but even veg dishes like Qaabooli (a traditional Hyderabadi biryani with rice and Bengal gram), Lehsuni Tendli, Tinda Dum Tamatar, Dum Paneer Mitti Handi (done in earthenware to enhance the flavours all the more! ), some international stews, one-pot meals, etc. I would definitely recommend all to try these recipes out, the way they are supposed to be. 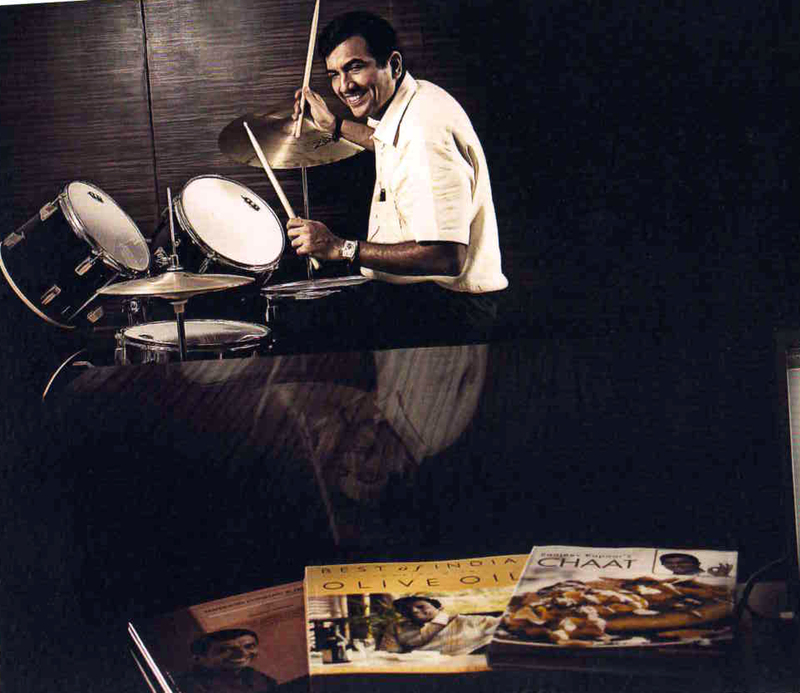 Just log onto www.sanjeevkapoor.com and get going. With $15,000 as the estimated price per pound, Edible Gold in the form leaves and dust dates back to the 16th century where it was used by the Italian Dukes and Earls to decorate their risottos. It was also used in medicines by the Alchemists of the 15th century, on fruits in luxurious banquets by the Elizabethans and by the Japanese in their food and sake for centuries. And you thought gold could only be jewellery? How is gold edible? As this expensive food is a metal that is ‘biologically inert’ which means it doesn’t get absorbed by the digestive tract as it passes through it. Hence, it becomes pretty much consumable. Whether you use it as a garnish on dishes or as floating gold flecks in beverages, make sure you select gold that is pure – 22-24 carats is what you should look for. A carat value less than this would mean that the gold is impure and can be harmful for consumption. Le Burger Extravagant priced at $295 in New York’s Serendipity 3 Restaurant. Douche Burger priced at $666 at 666’s Burger, a New York City based Food Truck. The Golden Bagel priced at $1,000 in New York’s Westin Hotel. Billion Dollar Popcorn priced at $1000 per kg at Berco’s Popcorn, Chicago. The Golden Opulence Sundae priced at $1,000 in New York’s Serendipity 3 Restaurant. White Truffle and Gold Leaf Pizza priced at $2,400 at Margo’s Pizzeria, Malta. Lancashire Wagyu and Mushroom Pie priced at $14,260 or $1,781 per slice at The Fence Gate Inn, Lancashire. Fabergé Chocolate Cake priced at $34,500 at Lindeth Howe Country House Hotel in Windermere, Cumbria. Wouldn’t you now want to give edible gold a try? Actually, you must as it’s going to be an experience in itself. So, here we are, done with our list of expensive ingredients in the world. What’s on your list of expensive ingredients? Tell us about it, share your experiences with us. We are waiting to hear from you! The holy month of Ramzan calls for Muslims all over the world to keep a strict roza fast from dawn to dusk. According to the Holy Quran: “One may eat and drink at any time during the night ‘until you can plainly distinguish a white thread from a black thread by the daylight’; then keep the fast until night”. Post sunset, when the fast is to be broken, delicacies of all types are indulged in. The real spirit of the festival is about helping the needy while being grateful for everything god has given you. Sitting down with family and friends to break the fast together is an important part of the festive rituals. Ramadan as a festival has always been close to my heart because it shows us the power of faith, gratitude and love. In most parts of the India, tiny lanes and gullies are filled with vendors selling different type of ramzan special food preparations like kebabs, naans, biryanis, breads, fruits and of course sweets like sheer kurma *yumm*. Out of all these my favourite place for an iftaar meal is Mohammad Ali road in Mumbai. There is this old guy who sets up cart each day during the holy month and dishes out the most delicious traditional rustic meaty ramzan treats – nalli nihari, paya soup and a bara handi mutton masala. Just three dishes, and all of these are served with a pile of beautiful lachcha paranthas, ideal to soak up the juices and flavours of these curries! However eating out regularly may be great for your taste buds, but certainly not for your health. You can now make these delectable dishes on your own, plan healthier meals and enjoy them without being worried. So get into the festive spirit, put on your aprons and get ready to whip up some nawabi dishes in your home kitchen and surprise your family and friends with your home cooked delicious iftaar meal! Over and above don’t forget to share any fabulous recipes with us, so we can share it with the rest of the world! Try making yummy street food recipes like – baida roti, keema kaleji, falooda, seekh roti and Pudina lachcha parantha and mutton rogan josh and my favourite mutton shorba! Also sharing a recipe for burnt garlic and mint chutney – which goes great with almost all Ramadan eats! Ensure that you have loads of this as it is always a super hit! 1. Heat the oil in a pan; add the garlic and sauté. Sprinkle black salt and sauté till well browned. 2. Grind together the fresh mint, ginger, green chillies, sautéed garlic and two tablespoons of water to a fine paste. 3. Add the paste to the yogurt and mix well. Add the lemon juice and salt and mix again. 4. Pass the mixture through a piece of muslin, squeezing well to get a smooth chutney. Ramadan Kareem to you and your loved ones! Stay pious stay blessed! Without a cup of hot beverage – tea or coffee, my monsoon days are incomplete. What can be better than a kadak chai on a breezy and pouring day! Tea flourishes in damp tropical and sub-tropical regions of the world and I would be stating the obvious but tea is an international star! It’s the most popular, most loved and the most fragrant beverage that exists in the world. Tea is actually not just a beverage that helps us to wake up from slumber or perks us up mid-afternoon. It is a drink with such a taste and aroma that it makes you feel good and a sense of calm pervades you. Tea makes you feel good, I say, but it also makes you look good! Being a naturally refreshing drink, taken on its own, tea has no calories. It’s the perfect drink to keep looking good and feeling fit. Also when taken with milk, four cups of tea a day can provide you with significant amounts of the following nutrients: approximately 17% of the recommended intake for calcium, 5% for zinc, 22% for vitamin B2, 5% for folic acid and vitamins B1and B6. A cup of tea is also a good source of manganese, which is essential for general physical development and potassium, which helps to maintain your body’s fluid balance. Tea has antioxidant activities, which may help fight a variety of diseases. We will dwell on this in detail later in the column. Tea is a great natural source of fluoride, which is found in water and added to toothpaste because it can actually strengthen tooth enamel. Tea can also prevent tooth decay by helping to cut down the buildup of plaque on your pearly whites – and just in case you’re wondering, the tea plant is in itself a rich source of fluoride because it absorbs the compound from the soil via its roots. Black and green teas contain fluoride and they appear to control bacterial growth by reducing plaque. It all depends on personal choices. Go through the gamut of teas available like Assam, Ceylon, Darjeeling, Jasmine and pick your best. In fact, indulge in a variety of them like a connoisseur! Brand name teas are mixtures of as many as twenty different varieties of leaves, blended to ensure a consistent flavour. To make it easier, let me tell you that tea can be segregated into three basic types: black, green and oolong. Black tea is fully oxidized or fermented and yields a hearty-flavoured, amber brew. Green tea skips the oxidizing step. It has a more delicate taste and is light green/golden in colour. It is gaining popularity due to scientific studies linking it with reduced cancer risk. Oolong tea is partly oxidized and is a cross between black and green tea. Some varieties of oolong tea have cholesterol-lowering properties which are especially effective if the tea is drunk after a fatty meal. Oolong tea may also reduce blood pressure and arterial disease possibly by decreasing the clotting tendency of blood. Black tea is rich in chemicals called tannins, which are astringent. For herbalists these are useful in treating diarrhea. Cooled, damp black tea bags may also be placed over tired, red eyes or on insect bites to relieve itching and redness. There is a variety of teas available on the shelves that would wow you. While flavoured teas evolve from the three basic teas (green, black, oolong), herbal teas contain no true tea leaves. Herbal and ‘medicinal’ teas are created from the flowers, berries, peels, seeds, leaves and roots of many different plants. Actually frayed nerves, rushed hours and lack of patience is what rules the roost these days because everyday life is loaded with stress and strain as we all are so very busy. To save from early burn out it is advised to take regular breaks from work: breaks here should read as ‘tea breaks!’ Having a hot cuppa is the perfect way to relax and unwind. It is a panacea for all and as it rich in a group of antioxidants called flavonoids which help to fight the damage causing free radicals. For example, there is eight times the amount of ‘anti-oxidant power’ in three cups of tea than in one apple, and every time you brew tea for upto one minute you get 140mg of free radical-fighting flavonoids. Further studies are looking into how tea could be beneficial for your heart. The result from trials so far show that flavonoids may prevent the oxidation of the so-called bad cholesterol in the blood that leads to the buildup of plaque in artery walls, as well as protecting the blood vessels from inflammation and inhibiting blood clot formation. The best way to brew tea is in a pot made of china or glazed earthenware. Heat fresh water in a kettle. Just before the kettle boils, pour a little of the hot water into a teapot, swirl the water around the sides of the teapot and then empty it out. Return the kettle to the heat. Measure the tea leaves (for medium strength tea, add one heaped teaspoon of tea leaves for each cup) into the prepared teapot. As soon as the water in the kettle comes to a boil, pour into the teapot. Place the lid on the pot and let the leaves infuse for five minutes. You can keep the tea warm by covering it with a tea-cozy. Towards the end of the infusion time, stir the tea once, so that it is of even colour. When the tea has infused, pour it into individual cups through a strainer. Serve it immediately with sugar and milk in separate bowls. Well, now the time is to enjoy my cuppa, when there is a chill in the air. Some of the recipes I would like to share with you all. Sip on a hot tea and drive away those monsoon blues. If there is a searing summer, then a torrential monsoon will follow. The taste buds crave for hot, crisp savoury foods and it is not unusual to come across deep-fried foods in many homes across the country. It takes a few drops of rain for us to rush to roadside vada pav stalls in Mumbai and gorge on these hot spicy potato bites of heaven often served with fried green chillies and a spicy garlic chutney. Perfect with a cup of hot Masala Chai! Something like chole tikki back in Delhi is a filling snack on a rainy day. Growing up in Delhi, I do remember sitting cozily inside the house with a plate of mirchi bhajiya while the Earth got washed by the seasonal rains but this time lets go down south and see what our beautiful southern states have to offer during the monsoon months! Close to Mumbai is Goa – a tourist’s paradise which becomes more verdant in the rainy season. When it rains in Goa, the rivers become bubblier than before, the leaves on the trees are sparkling clean and the wind chimes through them musically. To a new visitor, monsoon in Goa is full of surprises – it can mean sudden bursts of torrential downpours that usually last for a short time, although there are occasional periods when it rains for hours on end. These sudden bursts are always succeeded by bright sunshine that lights up the countryside in brilliant colours. Being close to Arabian Sea, Goa boasts of excellent seafood. The fresh supply of seafood and coconuts dominate delicacies of Goa. During the monsoon, from mid June till end September, fresh fish is scarce and people have to be satisfied with fish caught in the rivers and creeks. During this season, it is salted shrimps and mackerels (prepared in numerous mouth watering ways) that find their way to the family table. Its ‘no-fishing’ time during the months of rain and the fish loving locals are well prepared. They dry, salt and store seafood to use when there is no fresh catch of the day. 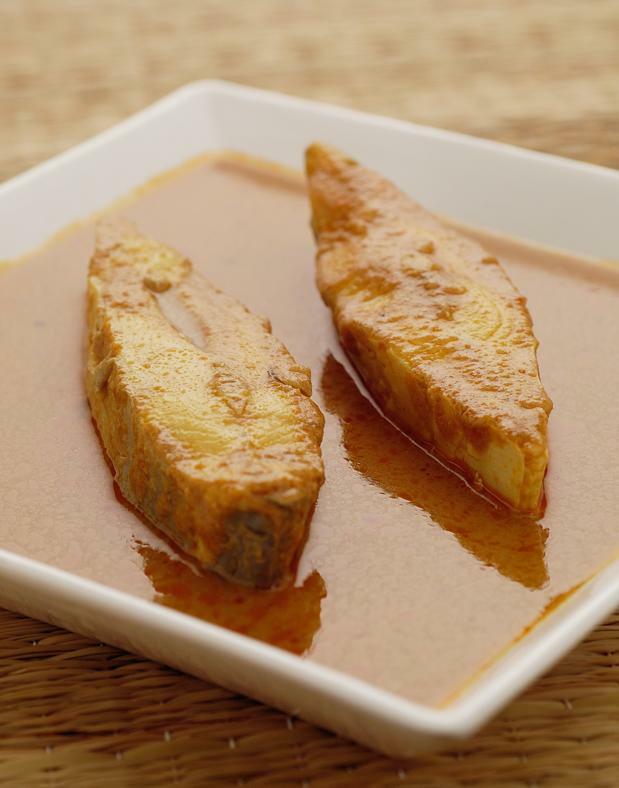 The requisites for authentic Goan cooking are certain ingredients peculiar to it like triphala and kokum. Hardly any Goan dish is complete without coconut as one of its main flavouring agents. Fresh coconut, in one form or other is added. It could be grated, ground fine into a paste or in form of milk extracted from the flesh of fresh coconut. Fish Ambotik served with rice is one of my favourite combinations. Let’s travel a little further south to Karnataka famous for the murukkus and Mysore Paak. This state is perhaps as green as it could be! There are craggy precipices; huge stones precariously balanced one on top of other, curvaceous rivers and beaches bleached to a silver. It has dense forests, the Nilgiri Hills, temples and archeological relics, which if they could narrate would tell stories of thousand years back in history! For foodies, Karnataka offers a fantastic vegetarian cuisine with rice, sambhars, rasams, dosas and bondas sprinkled with fragrant ghee. When the wet months come, so does the fear of malaria. There are certain traditions that are followed in Dakshin Kannada in the wet months. A bitter decoction of maddale is made in most homes as a preventive measure to malarial fever during the monsoon. 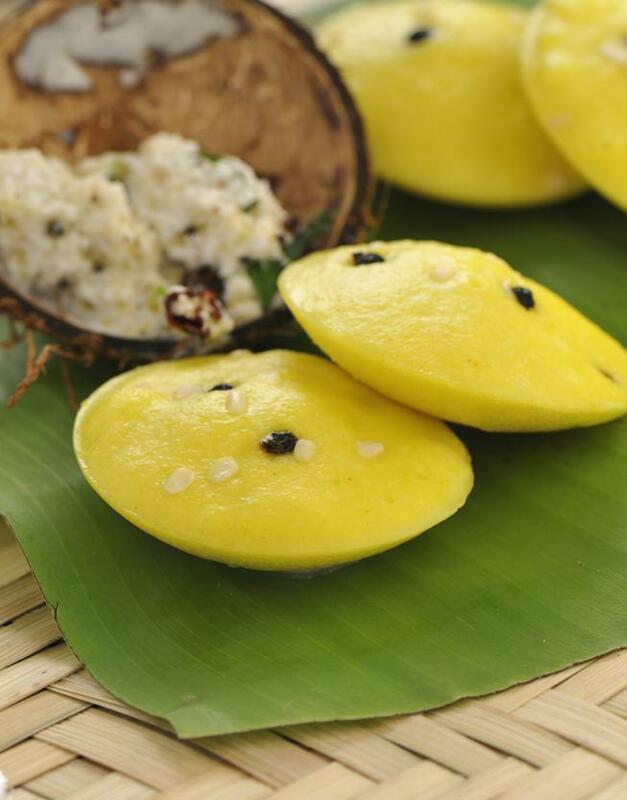 A sweet dish is prepared out of madhtoppu herb, which is found growing luxuriantly in Coorg. This herb is believed to have eighteen medicinal properties and is harvested on the eighteenth day of Karkatamasa (July 15 to August 15). This day is also the day Coorgis prepare kozhi (chicken). Say they, during the monsoon the chicken accumulates excessive fat content to fight the cold weather and if eaten will add to the body fat. One of my favourite cold remedy also happens to be my favourite food – Tomato Rasam – sip on a bowlful of this piping hot soup topped with coarsely crushed black pepper and say goodbye to colds! Being a small coastal state, Kerala is known for its lush greenery and palm lined backwaters and rich dance form Kathakali! It enjoys a very good monsoon from June to November making it one of the pleasanter states to visit any time of the year. And when it rains here, it is as if cans of green-coloured paint have been emptied onto the landscape. When there is torrential rain, the usual fishing activity comes to a standstill. But Keralites savour non vegetarian food, so mutton dishes are also quite popular. As the coastline is dotted with plantations of coconut palms, coconut finds its way into almost every preparation. Overall, food in Kerala is non-greasy, delectable and comforting. Crisp banana wafers and jackfruit chips fried in fresh coconut oil are a speciality of the land. Crisp pancakes and steamed rice-coconut cakes or puttu made from pounded rice along with spicy chickpea curry make up breakfast in many homes on a rainy morning. Keralites love seafood but fishing is not greatly encouraged during the monsoon season which is the main fish breeding season so as to preserve the wealth of the sea. The locals believe that the monsoon season (karkkidaga) slows down digestion and appetite and hence, tackle it in many different ways. Inchikkari, made of ginger and other spices, acts as an appetizer besides aiding digestion. Since rheumatic disorders seem to increase when it rains, porridge made of navadhanyas (nine pulses and cereals) called karkkadakka kanji is served to old people. Any visitor to a home in Kerala during the rainy season is sure to be treated with Chukkuvellam which is a medicated drink made using chukku or dried ginger and other spices. Besides being a welcome drink, it aids to dispel cough and cold generally seen with a change in weather. One place I travel to often is Chennai, the capital on Tamil Nadu. I always enjoy the steaming hot Kanchipuram idlis and aromatic filter coffee! You would be surprised to know that rainy season in Tamil Nadu is between October and December when the northeast monsoon brings rains in spurts. November is a good month to experience cool clime but come armed with raincoats. Tamil Nadu, whatever the season, is known for its idli, dosa, vada, appam and kadubu. Many of us would also equate Tamil Nadu with its spicy hot Chettinaad cuisine. It is one of the spiciest, oiliest and most aromatic in India. Most dishes have generous amounts of peppercorn, cinnamon, bay leaves, cardamom, nutmeg, green and red chillies. It is enjoyable to have food that tastes like this and enlivens the taste buds when the rains make the day dreary. Chettinaad fried chicken is simply perfect! But when it rains what every local person would like to enjoy with filter coffee would be crisp vadas. It could be medu vada made of (urad dal) or it could be ambada (chana dal) and sometimes vadas made of masoor dal or tuvar dal or even mixed dals. Or it could be a kozhikara vadai. This trip ends at Andhra Pradesh which is so hot in summer that the skin sizzles, the hair frizzle and the roads seem to be covered with a layer of steam as if the tar is melting. It cools down a bit from July to October as monsoon sets in. When the rains are lashing down, what is needed is something to satiate the hunger pangs and fight the heat! Cooling foods such as raw tamarind chutney or a yogurt and onion relish offsets the heat of the day and the hot chilli content of a typical Andhra meal. Andhra is well known for its Guntur red chillies. One would notice that the number of vegetarian dishes is more in Andhra Pradesh than non vegetarian stuff. Tamarind rice dish called pulihara is a favourite and is usually served with spicy sambar. Also worth talking about is the Nizami food that makes Hyderabad so famous. Some specialties are Haleem – paste of wheat and meat spiced delicately, mirchi ka salan and bhagare baingan. 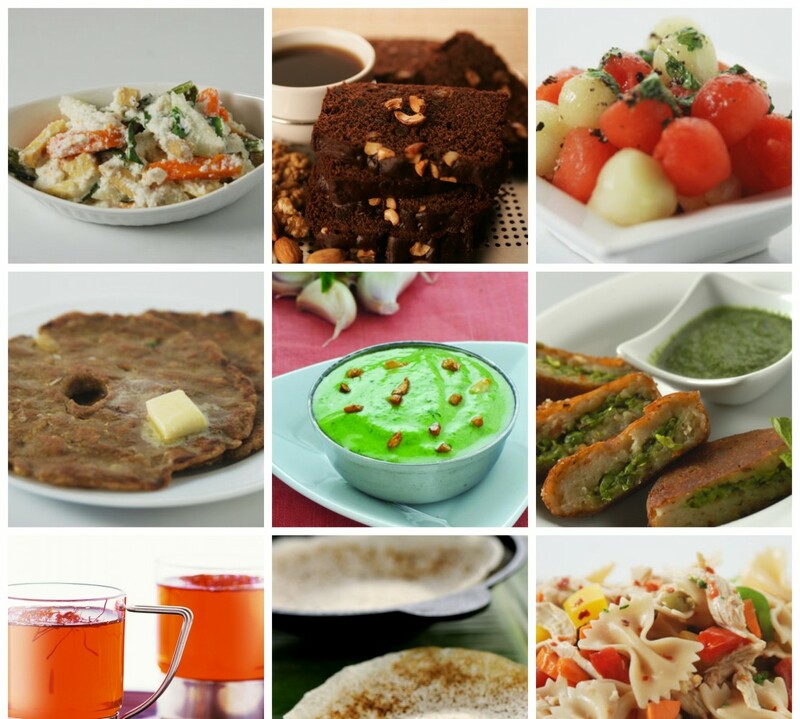 All these foods are filling and nutritious and perfect during the rainy season. So tell me about your monsoon food quests till I write again sharing some more of mine. Till then get drenched in the rain and the awesome world of monsoon foods! Last day at the sets of my show Cook Smart today, but its World Environment Day and it is not just my duty to share what I feel about it, as a responsible citizen, but I also think that it is one important topic that needs to be talked about and there is still a lot of awareness that needs to get across the masses. Amidst the concrete jungles that we stay in these days, a single patch of green just enlivens up every single soul that comes across it. Such is the power of nature with all its beauty and glory! 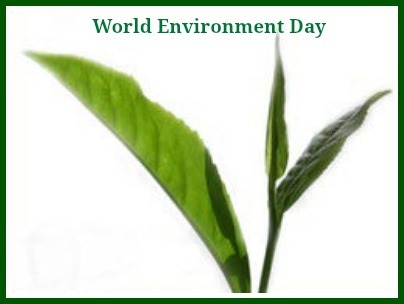 It is absolutely essential that we take care of Mother Nature and do every possible bit to help make it better and better everyday. There’s a lot that is being already talked about environment in general, I would just say that as individuals we should do our bits in preserving it. For instance, when you out on the streets and are popping that favourite wafer of yours into your mouths, remember to dump the packet in a dust bin. If you cannot find one in the vicinity, keep it in your bag and once you reach home, dump in the dust bin there. Plant a sapling at your nearest park/playground, take its ownership and see it bloom into a gorgeous tree with beautiful flowers and delicious fruits. Stop torturing stray dogs or other animals for that matter, just for the fun part of it. Teach your kids the same. Stop using plastic bags, instead go earthy by using cloth bags – easy to use, easy to maintain and absolutely Earth friendly! Like these, there could be so many other things that you can do in your daily routines that would add to the betterment of the environment. All it takes is just a jiffy to realize the worth of the nature that surrounds us…so, protect it and protect your future! Eat. Sleep. Play. Go Green. Repeat!